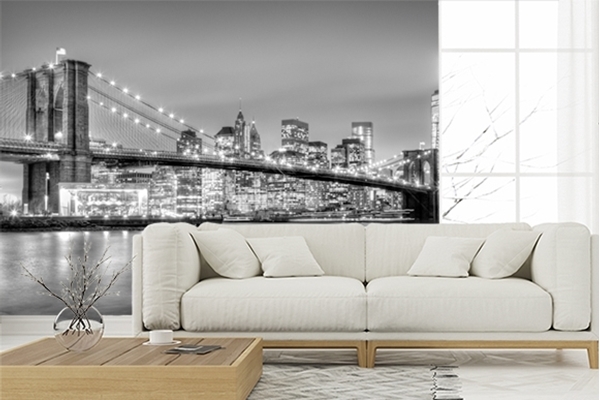 Order your favorite photo wallpapers from category - Photo wallpaper New York Popular cities! Exterior of New york Stock Exchange, largest stock exchange in world by market capitalization. Wall street, lower Manhattan, New York City, USA. Black and white image.